We’re proud to have been serving the local community in Hayle and St Ives for over 25 years and pride ourselves on being a family run practice committed to our local community. If you’d like to request a call back, please enter your details below and we’ll speak to you at a time convenient to you. In the event of a veterinary emergency, or if you require urgent advice, please do NOT use this form but instead call us on 01736 755 555. We aim to respond to call back requests as soon as possible but please allow up to 24 hours. 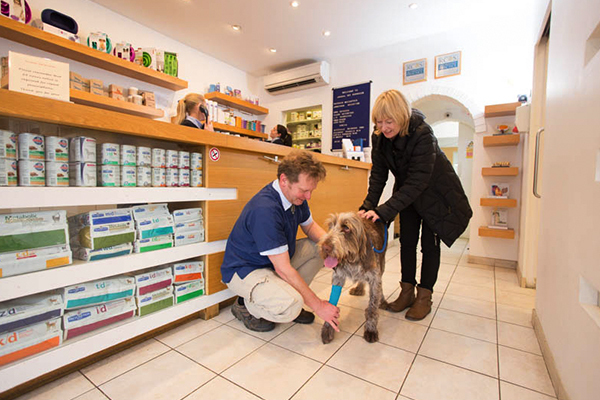 The staff at Animal Vets always have time for you. A really personal service and so good to see a friendly face when you are concerned about your beloved pet. We cannot thank them enough for the care our Golden Retrievers have received whenever necessary. Amazing, caring staff. Couldn't ask for better. It was my first visit to the Carbis Bay practice today. I'd just like to thank the kind and understanding staff who were so helpful when I brought our poorly little guinea pig in. I will definitely return in the future. Thank you! Did you know that you can contact us any time of day and night if you have an animal emergency? Find out why this is another great reason to choose Animals Vets.